Asitha Jayawardena, MD, MPH, and Charissa N. Kahue, MD, traveled to Malindi, Kenya, in October 2016 with the support of the Academy Humanitarian Travel Grant with Jim Netterville, MD, and his More than Medicine annual head and neck mission trip based out of the Tawfiq Muslim Hospital. Dr. Jayawardena and Dr. Kahue are currently PGY3s at Vanderbilt University Department of Otolaryngology. In addition to his trip to Kenya, Dr. Jayawardena spent two months in South Africa studying newborn hearing loss and its association with maternal HIV. Figure 1. 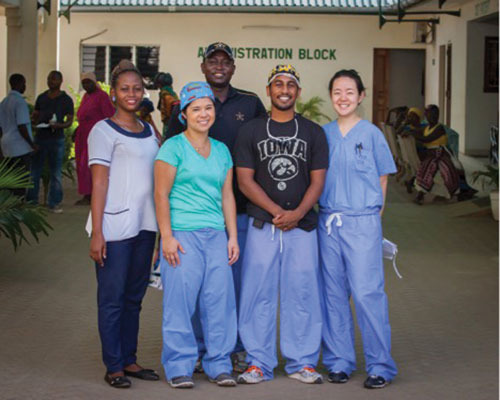 The hearing screening team (left to right) Tina Nakapuyusi, local RN; Charissa Kahue, MD, PGY3 Vanderbilt ENT resident; Moses Gona, NGO volunteer; Asitha Jayawardena, MD MPH, PGY3 Vanderbilt ENT resident; Justine Kim, 4th year medical student. One of the most gratifying moments of our trip came at a time when we least expected it. Our hearing screening team chose to end our pilot study by gifting soccer balls to both the (hearing) Gede Primary School and the Gede Special School for the Deaf in semi-rural Malindi, Kenya (Figure 1). Figure 2. 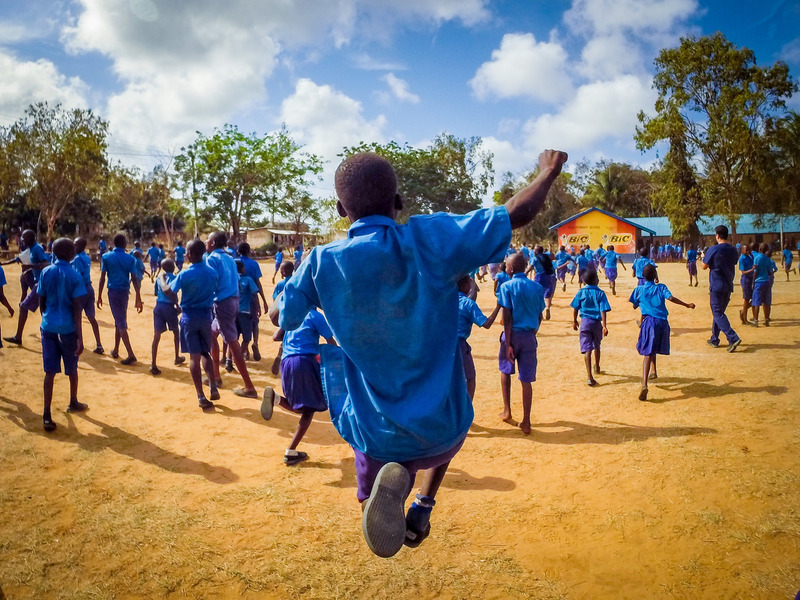 A child at the Gede Primary School celebrating after his school received several new soccer balls after completion of hearing screenings. The reactions from the children at each school could not have been more different, yet, at their core, so profoundly similar. In both settings, the children instantly reacted to our modest gift with pure delight. The hearing primary school erupted immediately into a chaotic sprawl with thunderous shrieks of joy (Figure 2). Disciplinary shouts from teachers trying to regain order were drowned out by the laughter and celebrations from the hundreds of students enamored with their new gifts. The surrounding noise was utterly and completely overwhelming. At the Gede Special School for the Deaf, on the other hand, the celebration was held in near-complete silence, save for one or two shouts of excitement. It was in this moment when we finally appreciated the “mission” of our mission trip. These children, despite their disability, shared the same overwhelming happiness that only a shiny new soccer ball among friends in the middle of a dusty field in rural Africa can bring. Unfortunately, due to the nature of their hearing disability, deaf children are less likely to complete school and find employment later in life. Hearing loss in the developing world is an enormous burden with profound public health and economic implications. Eighty percent of disabling hearing loss is found in the developing world, where this problem is exacerbated by a lack of trained medical staff able to treat this condition. In Kenya, there are only 1.2 otolaryngologists and 0.12 audiologists per 1 million people. Figure 3. 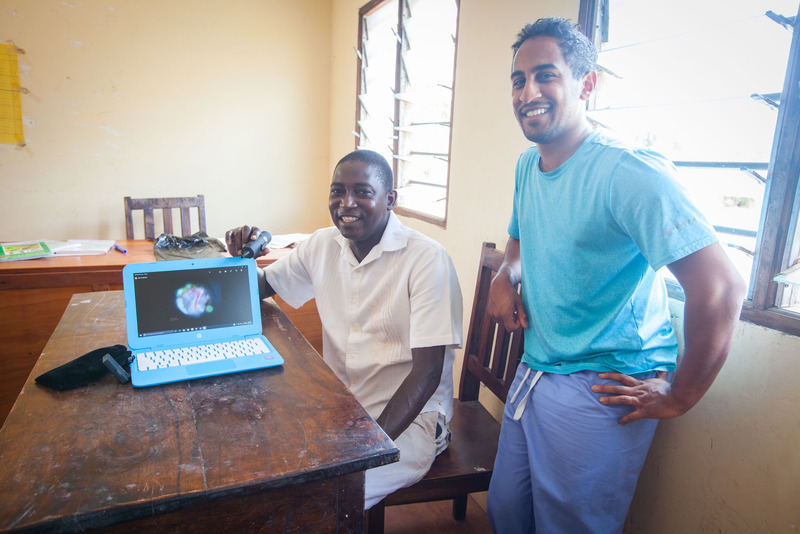 Moses Gona (left) and Asitha Jayawardena, MD, MPH (right) demonstrating the Firefly otoscope and a tympanic membrane they photographed during their screening. Our group sought to design a streamlined hearing screening program that captured enough high-yield objective otologic surgical data to make informed decisions about individual patients who may benefit from surgical intervention or hearing aids. We trained local nursing staff and local non-governmental organization volunteers how to use tablet audiometry software and wireless otoscopic endoscopy and otoscope to capture clinically validated audiograms and high-definition endoscopic ear exams (Figure 3). We tested our surgical screening tool in a number of different settings, including public schools, deaf schools, and the local hospital. Despite this being the first time our head and neck mission has ventured into the world of global hearing loss, the response was overwhelming. Patients lined up outside the hospital waiting to have their hearing screened with myriad ear-specific complaints. Hopefully, we have identified enough otologic pathology to help obtain sustainable funding for hearing aids. 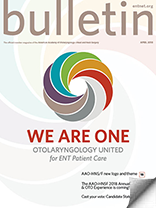 The long-term goal, of course, is to add an otologist to the annual head and neck trip and allow local otolaryngologists to refine and develop their otologic techniques. Appropriate surgical intervention in the world of global health is a unique challenge, fraught with traps for the naïve do-gooder. By utilizing local infrastructure, we hope our cost-effective and sustainable intervention can serve as a stepping stone to facilitate the identification and treatment of preventable disabling hearing loss.